The following article is an excerpt from Today Parents. "When you are a teacher, you feel like a part of these children’s lives," first-grade teacher Allison Malouf said. "Their daughter was like a child of my own. I didn’t want to see her without a dad... God gives you two kidneys, but you only need one." "Their daughter was like a child of my own. I didn’t want to see her without a dad... God gives you two kidneys, but you only need one." Neil Emmott, 56, a businessman in Fort Lauderdale, Florida, had lived with a diagnosis of polycystic kidney disease since 2001. His kidney function dropped below 20 percent in April of 2016, and the search to find a donor began. Until then, the Emmotts had kept Neil's health issues quiet. With his health declining, his wife Lisa, 44, began to confide in a few people at Ft. Lauderdale's Bethany Christian School, where she worked and their youngest daughter was in first grade. Lisa first told their daughter Mackenzie's first grade teacher, Allison Malouf, about Neil's need for a new kidney because she knew that Malouf's husband Jason had donated a kidney eight years before. "I also needed to share the mammoth weight that was bearing down on my shoulders," Lisa told TODAY Parents. Malouf, herself the mother of three sons aged 15, 14, and 9, understood the donor process and the emotions involved. She immediately volunteered to donate her own kidney. "I had complete peace and a strong desire to donate," she told TODAY Parents. "Being their daughter’s teacher, I desperately wanted to help this wonderful family." When both Lisa and her brother-in-law were rejected from donating kidneys as living donors for their own minor health reasons, the Emmotts began to feel desperate. Malouf began the evaluation process at Johns Hopkins in Baltimore, Maryland, to qualify as a donor — a process that took five months and endless tests, meetings, and consultations with doctors and surgeons. At the same time, Lisa told one of her best friends, nursery school teacher Britani Atkinson, about her family's desperate search for a kidney. Atkinson secretly began the evaluation process to become a donor too, keeping it secret from Lisa so that Lisa would not have to bear any more disappointment in case she was rejected. "I knew how desperate I would be if I found myself in their situation, and the solution seemed so easy," said Atkinson. "I had two kidneys and I only needed one. If I could give one to Neil to keep their family whole, why would I not?" Early on, Malouf, now 40, found out that her blood type is A+, while Neil's is O+. He needed a type-O donor, so Malouf's kidney would not work for him. Atkinson, 44, was approved to donate and her blood is the universal O type, but because of the size of her kidney compared to Neil's, she also could not donate directly to him. However, both were still determined to help. At that time, Neil was one of the reported 95,000 people waiting for a deceased-donor kidney, according to the United Network for Organ Sharing, which tracks everyone waiting for an organ transplant in the U.S. The wait can be three to five years, and many have to rely on dialysis in the meantime. 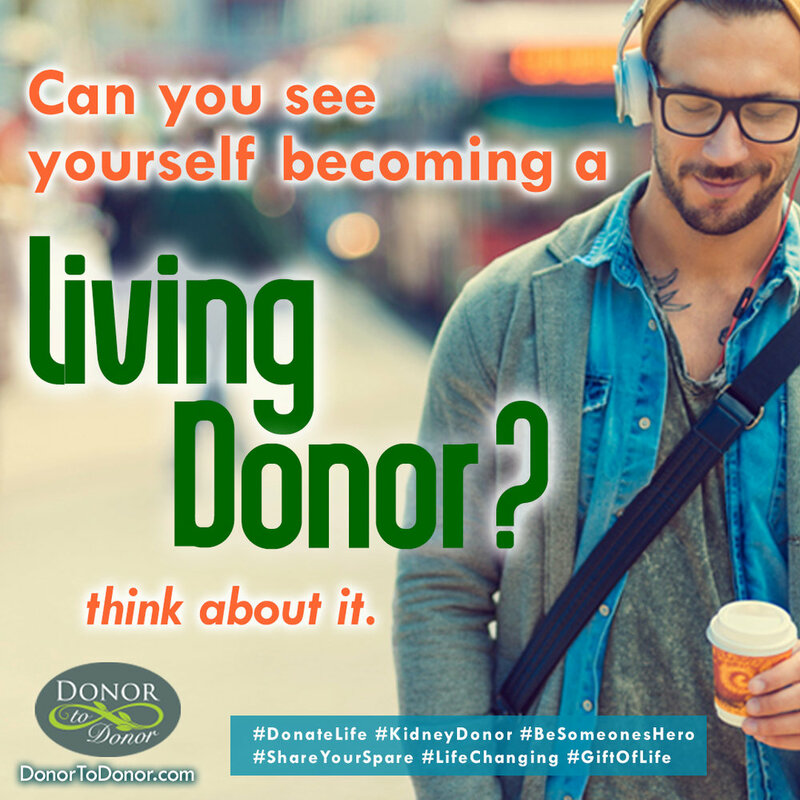 The alternative is to find a living kidney donor, but in 2017, only 5,811 patients received kidneys from living donors. "People don't realize that living kidney donation is an extremely safe procedure," said Johns Hopkins Comprehensive Transplant Centersurgeon Dr. Niraj Desai in an article about the Emmotts on the Johns Hopkins Medicine website. "There's a low risk to donors or we wouldn't do it." Desai added that a kidney transplant doubles the receiving patient's life expectancy. Malouf and Atkinson registered with the National Kidney Registry on Neil's behalf in June of 2017. Incompatible donors and patients put their names on the registry's exchange list with other incompatible donor-patient pairs from all over the country. When the registry finds an even number of compatible pairs of donors and patients, they can set up a "chain" in which the donors and patients evenly exchange the kidneys. Because Atkinson had a universal blood type, she was matched with a compatible patient first, and she and Neil underwent surgery at Johns Hopkins in September of 2017 — Atkinson gave one of her healthy kidneys to a patient in Boston, and Neil received a kidney from a compatible stranger in California. A total of four people received kidney transplants in the September chain begun by Atkinson's donation. "I have to say the recovery was much better than I anticipated," Atkinson, the mother of two teenage sons and an 11-year-old daughter, told TODAY Parents. "The very first day was rough, but I was amazed to see just how quickly your body can heal. My surgeon had told me that after about three days I would feel remarkably better, and he was right." Though Neil received the kidney he needed thanks to Atkinson's donation, Malouf was still inspired to donate her kidney. In November of 2017, Malouf's living kidney donation kicked off a chain that gave four more people, including a 14-year-old boy, new kidneys. "In the end, I donated my right kidney on behalf of a child in need. I couldn’t stand to see a child living on dialysis," said Malouf, whose surgery took four hours to complete and required six weeks of recovery. "To see Allison proceed with donating her kidney even after Neil had one made me feel very humbled and in awe of her selflessness," said Lisa. She has since tried to pay forward the teacher's generosity by raising awareness about living kidney donation. The Emmotts are enjoying Neil's renewed health with their daughters, Cameron, now 13, and Mackenzie, now 9. Both Atkinson and Malouf say they benefited as well from donating their kidneys. "It is a gift that gives as much to you as the person to whom you donate," said Atkinson. "There are very few opportunities in life to truly give something that is infinitely priceless to someone that costs you nothing." "This has been one of the most rewarding things I have ever done," said Malouf. Malouf said she has "no doubt" her children will want to donate kidneys one day after seeing both their parents go through the experience and live normal, active, healthy lives. Lisa Emmott said she is grateful to have two people in her life who would give her family this kind of immense gift. "If life is a classroom, Britani and Allison wrote the lesson plans," she said. "Mankind should sharpen their pencils and take notes."